I want to state from the outset that I don't think my story is more important than anyone else's. I like to hear other people's stories too. This blog is going to be somewhat autobiographical, about my experiences in the chess world. I want to raise the question of to what extend chess should be commercialized, and by extension, the question of whether other disciplines should be commercialized. Before all of my chess teacher friends get all up in arms, I think what you are doing is great. That isn't what I am talking about. 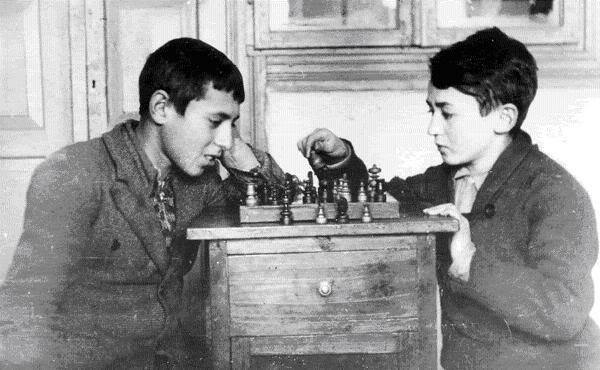 The my first unsuccessful attempt to learn chess was with my great uncle Benny. He and my maternal grandfather came from pre-Soviet Ukraine to escape starvation and having to fight in the Tsar's army. Uncle Benny was very active in the printer's union. Now when I tell my students that my great uncle was a printer, I have to explain what that was. He lined up his pieces in two rows. I did the same, but I didn't realize the pieces were supposed to be in a certain order. So Uncle Benny decided I wasn't ready for chess yet. He played 1.e4, which in his day was 1.P-K4. He told me by showing me that I could play either 1..e6 or 1..e5. I forget which one I played, but he immediately said that I had won the game, meaning it was over. Since my uncle Benny's day, chess has become more mainstream, especially chess as a scholastic activity. Perhaps the number of adults who love tournament chess in the NYC area only numbers in the thousands. Rents in NYC have risen to the point where locations for tournament chess are almost impossible to find. The issues that arise are complicated, and more dear to the heart for some of us than you can imagine. Chess will be commercialized in some manner, but hopefully on the basis of the value that it has for us, not the usual Madison Avenue rhetoric.